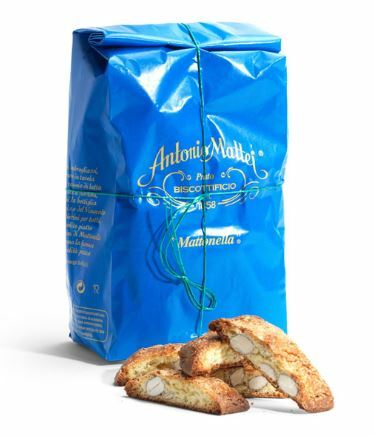 Antonio Mattei’s classic biscotti are considered throughout Tuscany and Italy as the standard-bearer of all Biscotti, the one every Tuscan family will stock in their pantry. The size, texture and taste are what every Italian considers the real thing, and that which all other producers try to copy and imitate. 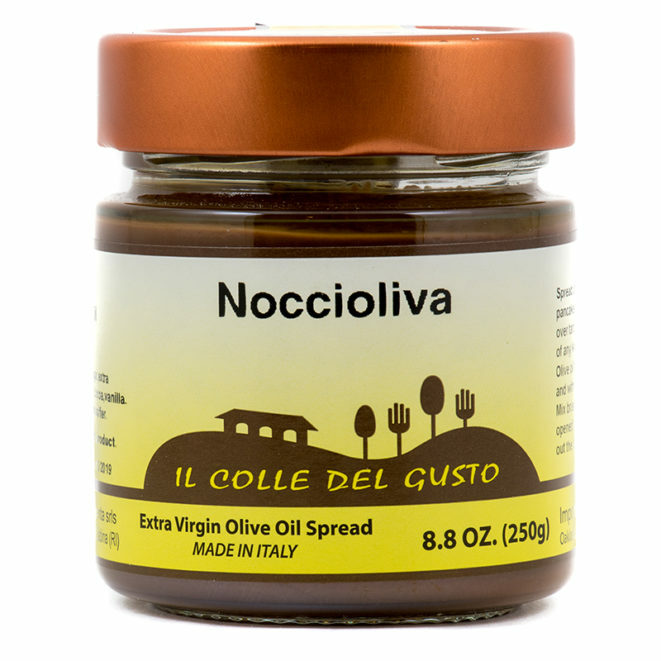 A delicious, traditional Tuscan treat. 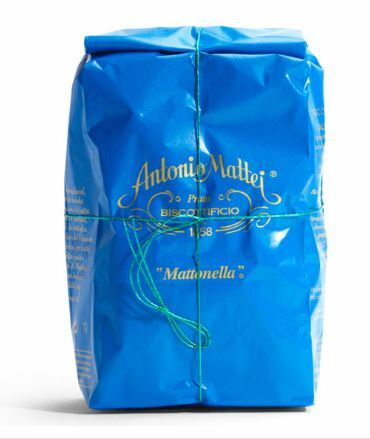 Mostly hand made since 1858 in the same bakery in the heart of the city of Prato on Via Ricasoli. 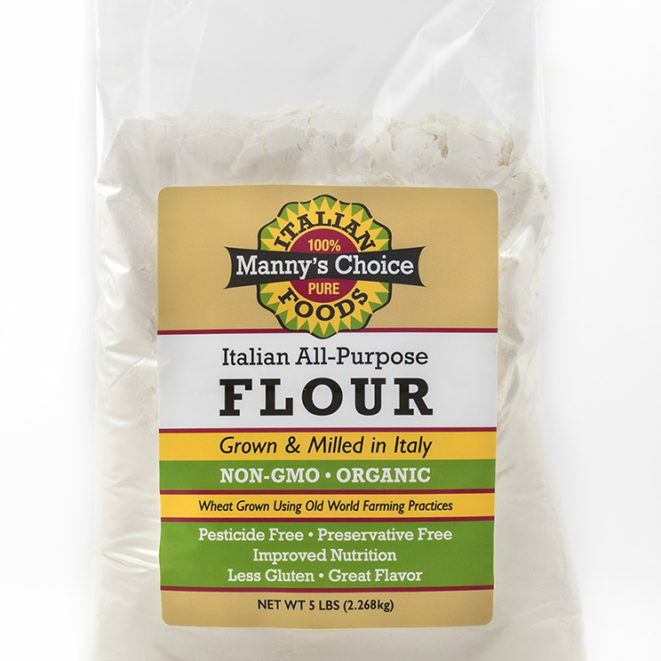 Made with flour, farm fresh eggs which impart that golden yellow color, sugar, almonds, bitter almonds and a few pine nuts. 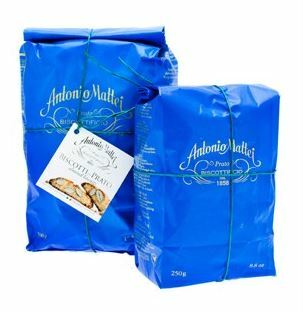 Packed in the traditional blue paper bags tied in the traditional string for over 100 years, the blue package is a permanent fixture on all Tuscan and Italian specialty food shops and fine restaurants. Traditionally served at the end of the meal with a glass sweet Tuscan Vin Santo, many of the local people argue whether is correct to dip the biscotto in the wine or not. Serve along panna cotta, gelato, or as part of an afternoon tea. 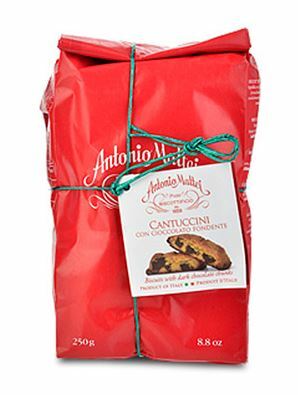 OMG – I’m not a huge biscotti fan but this one I can’t get enough!! !